The peacock bass fishing in the South Florida was really good, even with the heat index at 100. We’ve had 4 people and 2 boats out yesterday for a Peacock bass fishing trip. We boated around 20 fish per boat in just 5 short hours and a variety of fish also being caught. Both boats had lots of peacock bass and a few snook to add to the day of fishing. 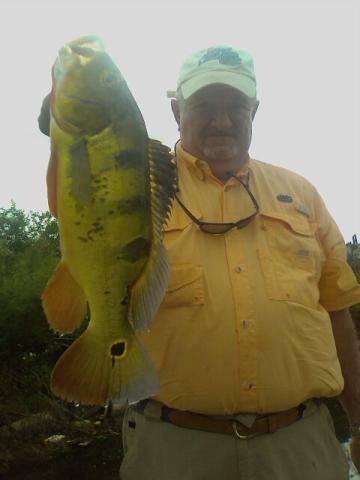 We have a Peacock bass website just for the fishing, you can visit it at www.flpeacockbass.com. To keep up with our fishing reports visit our peacock blog often. Remember the summer days were made for Peacock bass fishing, they love the heat!